In our Intro to Dog Agility training classes, your dog will begin to learn the basics of agility. 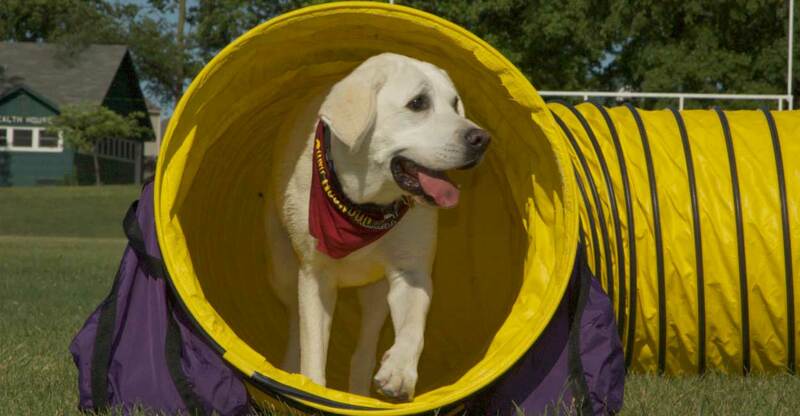 Agility is a wonderful canine sport, where your dog goes through an obstacle course. It is excellent for teaching your dog to listen and follow your direction. It is also great exercise, mentally stimulating, and is a lot of fun for the humans!